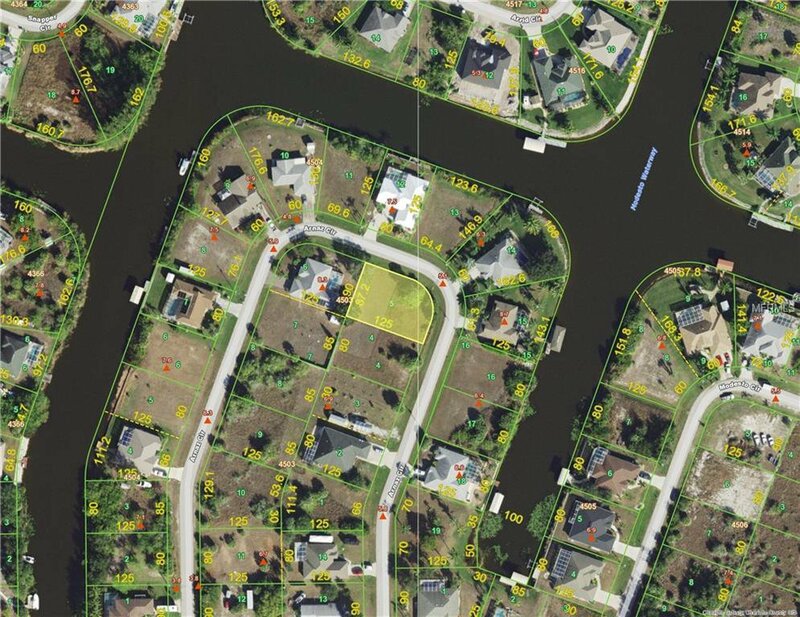 Over-sized Corner Building Lot located in the Highly Desirable Waterfront Community of South Gulf Cove. South Gulf Cove is one of the few Waterfront communities featuring Public Water and Sewer, Realistic Deed Restrictions, Voluntary Homeowners Association, Public Boat Ramp, Playground areas, Fishing areas Picnic areas with Covered Shelters and much more. This property is not located in a Scrub Jay Habitat per Charlotte County Web Site. This lot has been cleared with the exception of a few trees and is waiting for you to build your New Florida Dream Home on it. Surrounded by Beautiful Water Front homes. Conveniently located to Shopping, Restaurants, Boat Ramps, Biking Trails, Gulf Beaches, Marinas with direct access to the Gulf of Mexico and the Inter-Coastal Waterway. Listing courtesy of HAMSHER REALTY INC. Selling Office: HAMSHER REALTY INC.